Three more weeks till Christmas! What better way to wrap presents and write in Christmas cards with all custom made designs! 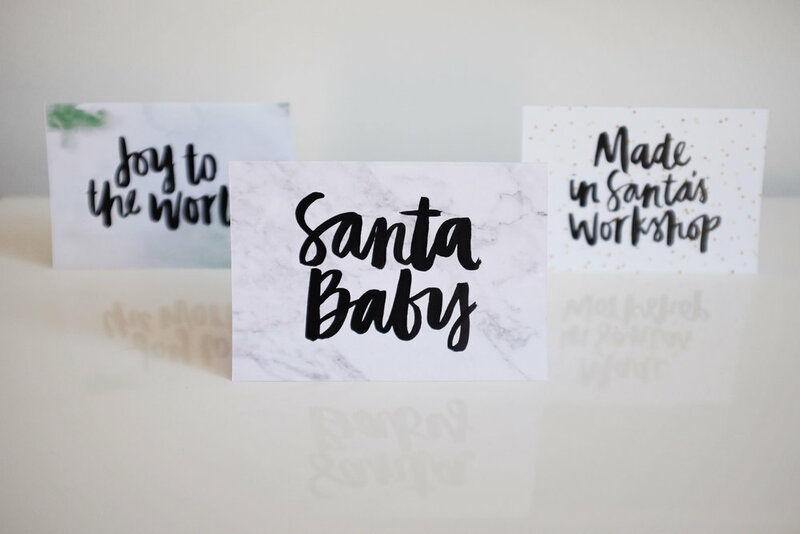 My printable 'Santa Baby' Christmas Cards are available to buy for $4 only! The PDF file when printed is A5 flat but folded is A6. Available to buy via http://maryrizzacruzcreative.bigcartel.com in the 'Printables' product section.